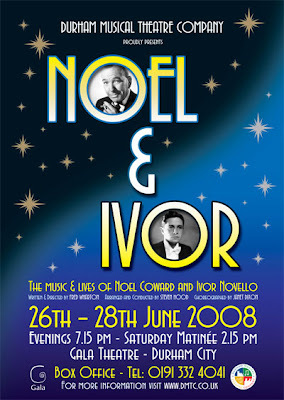 Ivor Novello throughout much of his colourful career, was as well known an actor as composer. As his legacy has emerged more clearly since his death, however, it is his contribution to composition, especially in the realm of the British musical theatre that carries greater artistic significance. Novello's musicals were generally rich in distinctive melody and had a conservative, operetta-like character.Novello was born in Cardiff, Wales, on January 15, 1893. He showed rare musical gifts in his childhood, exhibiting an exceptionally attractive boy soprano voice and a talent for creating original melodies. Noel Coward, playwright, director and actor as well as a songwriter, filmmaker and novelist, his witty, urbane stage productions forever altered the perceptions long inherent in theatre dialogue by shifting away from declamatory tones to a more natural, conversational approach, making them ideal for later film adaptations.Born December 16, 1899 in Middlesex, England, Coward was the product of a musical family; his grandfather was the organist at the Crystal Palace, while his father was a piano tuner.Fred Wharton will be holding a presentation evening on the 1st April 2008 where he will play some of their fabulous music and give an insight into the format the show will take, in what promises to be a wonderful celebration for our 100th anniversary year. Tickets will be in high demand for this unique show as there will be only 4 performances.